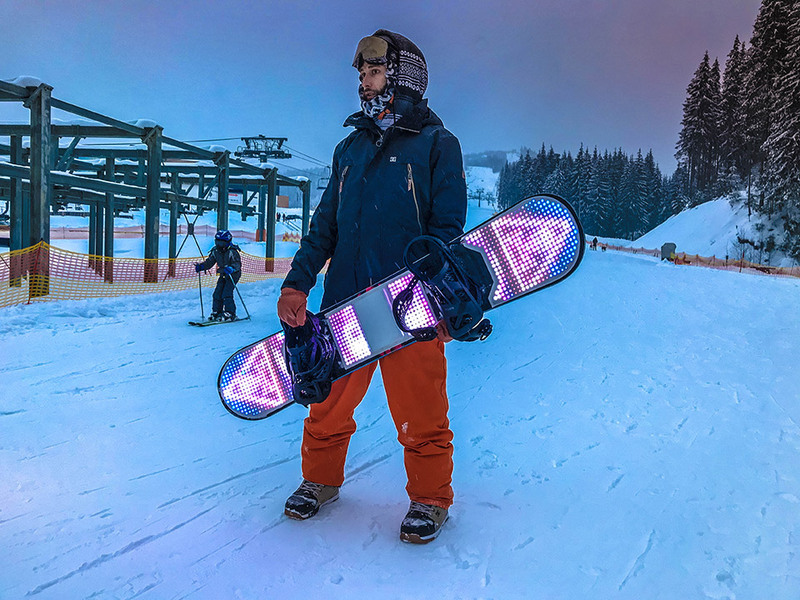 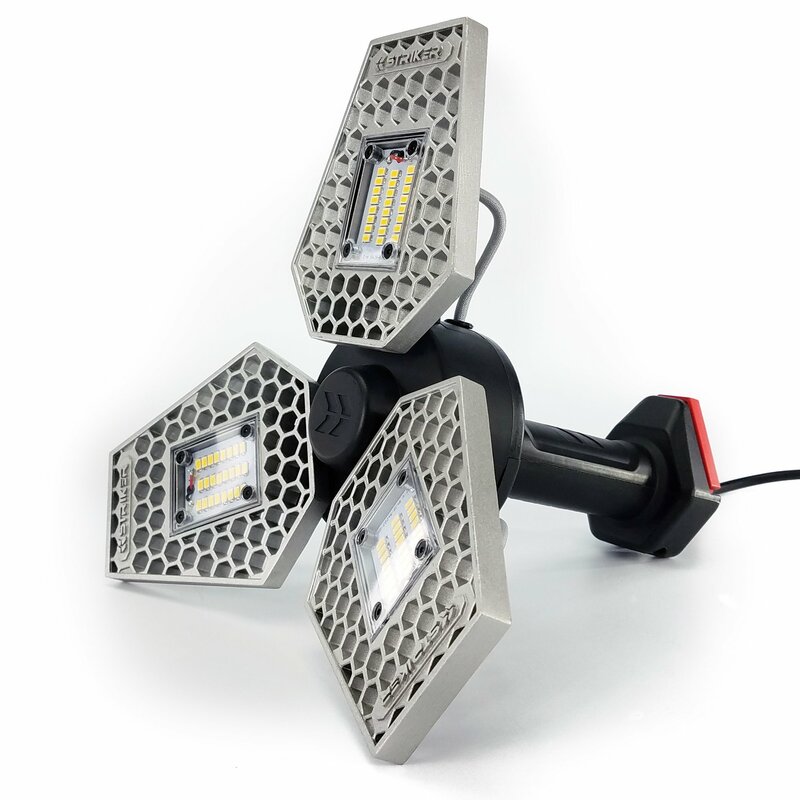 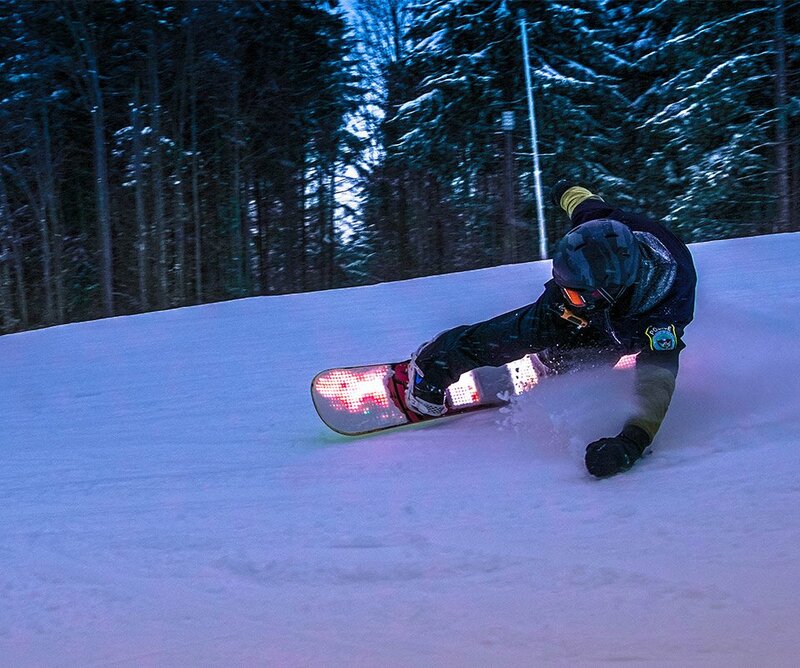 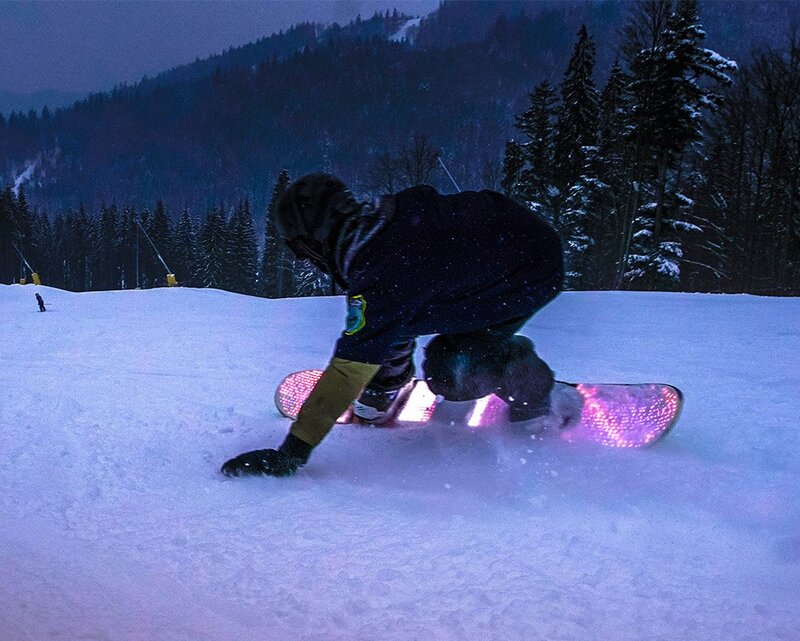 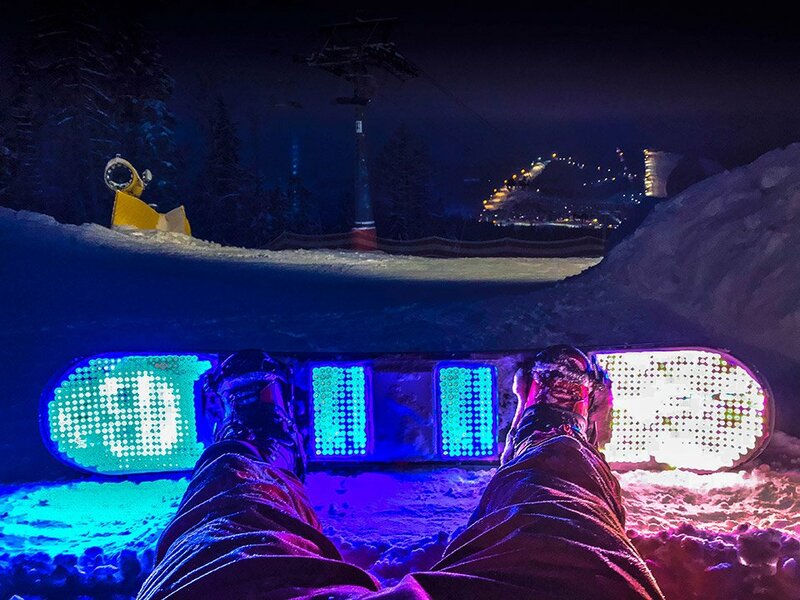 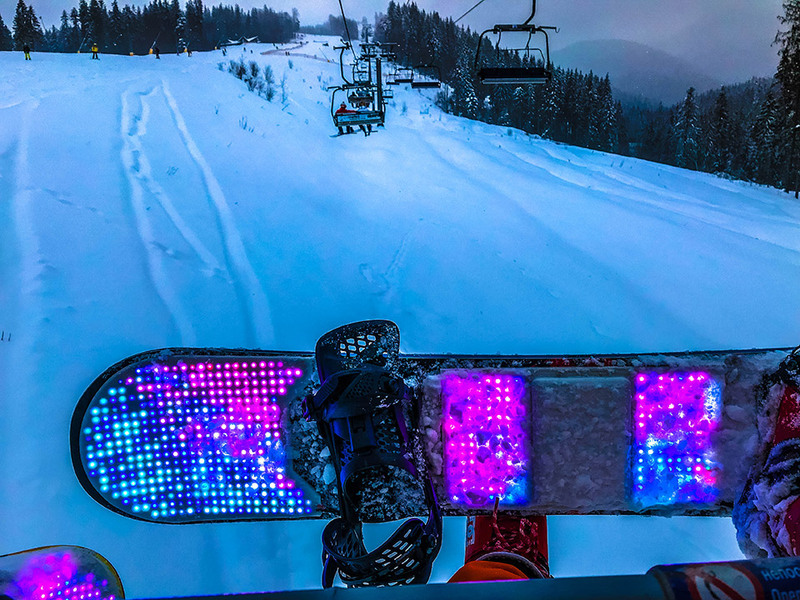 Snowboarders, get the ultimate upgrade for nighttime runs. 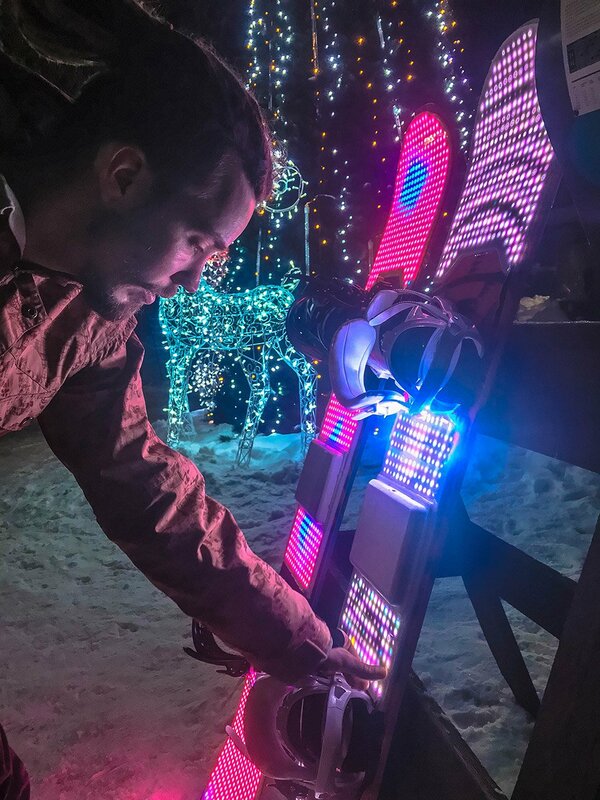 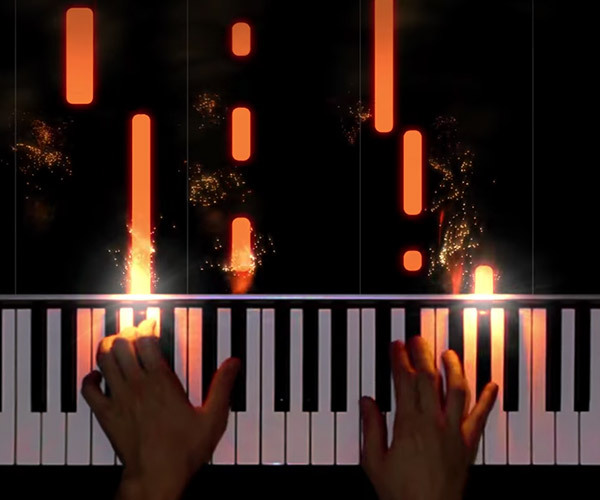 This add-on packs about 1000 colorful LEDs, and can display animated patterns programmed via a mobile app. 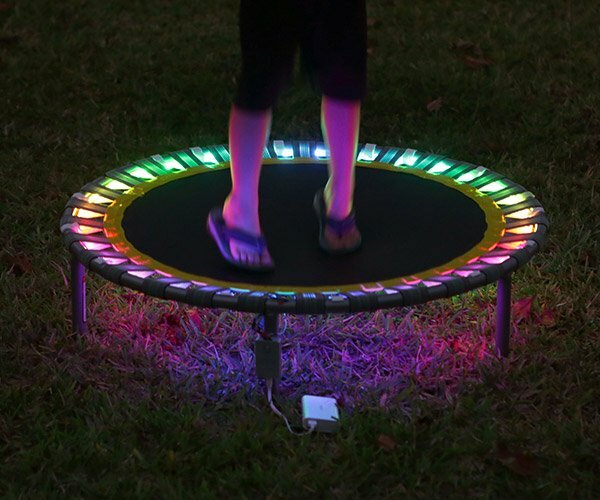 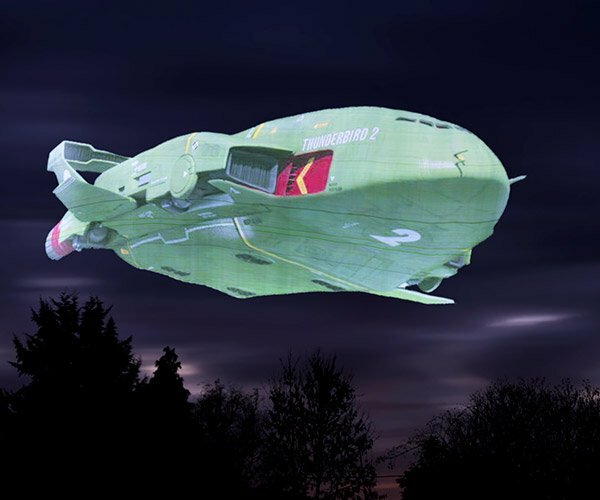 The animations can even be affected by the on-board accelerometer and gyroscope.